When considering the qualifications of professional movers in Powder Springs, Georgia, ask yourself whether those other moving companies have a provable track record of customer satisfaction. At Bulldog Movers, we’re proud to say that we do. We have several annual Consumers’ Choice Awards to show for our efforts, and an A+ rating from the Better Business Bureau, both of which stand in tribute to our long list of satisfied customers. But that’s not all. We’re also one of the top local movers in Powder Springs because our fleet and staff are equipped to move your belongings safely and efficiently. Our trucks are larger than those of many of our competitors, meaning fewer trips for those with large quantities to move. All of our vehicles are equipped with air-ride suspension, which reduces jostling inside the truck and keeps delicate items safe. They are also armed with GPS tracking devices, so you’ll always know where your belongings are while in transit. With some local movers, you will find that’s where their experience ends – local moving. However, we at Bulldog have helped countless families and businesses move across town, across the country, or even overseas. Each type of move has its own challenges, and over the years we have become adept at overcoming them all. 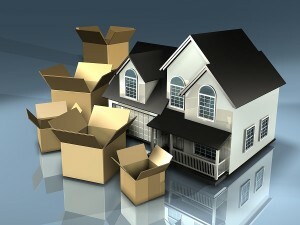 Few other professional movers in Powder Springs, GA, can match our qualifications or level of service. So contact Bulldog today, and find out why we have been Georgia’s preferred choice for relocating homeowners and businesses since 1982.